Pioneers in the industry, we offer turbine pump shaft from India. We offer a wide range of Shaft For Turbine Pump that is needed for suctioning liquids from a distance. The range that we offer is manufactured in such a manner that it can easily take huge load and stress. These vertical turbine pumps are non reactive, non corrosive and resistant to rust and abrasion which make them ideal for a number of purposes in industries. 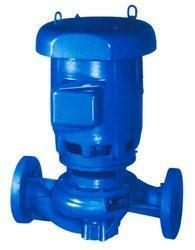 Looking for Shaft for Turbine Pump ?